Gao Xingjian: Aesthetics and Creation. Amherst, NY: Cambria Press, 2012. 271 pp. The 2000 Nobel Laureate in Literature Gao Xingjian has a special place in world art, literature, and culture. He is known internationally as a writer of fiction and drama, a stage director, translator, painter, and film director. However, he is also a literary critic and theorist, and has been involved in various debates over the role of literature in politics and life. Since leaving China in 1987, he has continued to write mainly in Chinese, although, since moving to France, he has also written plays in French. Though internationally lauded for his creative use of the Chinese language (e.g., in depicting the inner thoughts of characters), Gao is not recognized by the China Writers Association, and his works are therefore not considered part of the achievements of contemporary Chinese (PRC) literature. For Gao, this non-recognition by the mainland Chinese writers’ organization means no more than the fact that his creativity can no longer be measured by the ideological yardsticks that sets the official Party line. Gao Xingjian’s unique literary talents can be seen in his incessant experimentation with new modes of expression and new forms of representation that explore the complex relations between art and subjectivity. For example, his fiction is often characterized by a unique narrative style, which privileges the dialogic structure of subjectivity, manifested as multiple narrative voices. Represented by pronouns, the different selves of the narrator-protagonist are juxtaposed against one another, creating an array of relations as narrative point of view switches from one subject position to another. Such changes in subject position signify not only shifts in perspective from the self to the other, but also from the male to the female, and back again, incarnating the subject’s complex dialogic makeup. In drama, Gao experiments with particular aspects of human subjectivity in terms of change in actor-character relations. Reading Gao’s works, whether fiction or drama, one feels caught in a maze of human relations in which distinctions are so blurred that it is difficult to know what the self is or what the other is not. Yet, it is in such relations that the complexities of the human mind and sense of self can be explored in depth. In many of Gao’s plays, stage requirements are explained in ways that give clues to the experimental impulses behind his works. The many critical essays that Gao has written about his ideas of art, literature, and theatre also shed light on the theoretical underpinnings of his creative works. Mabel Lee’s translations collected in Gao Xingjian: Aesthetics and Creation do a very good service to the profession, as they include all of Gao Xingjian’s most important theoretical essays. As many of these essays have not been published in book form, and some of them have never been translated into English, the collection is a great contribution to existing scholarship on Gao’s views of art and creativity. The essays translated and collected in this volume cover most of the issues Gao has faced in his creative writing, and they also constitute a dialogue between Eastern and Western aesthetics. Unlike many writers, Gao Xingjian is a seasoned critic and theorist who effectively and clearly expresses his arguments. Often at the forefront of debates on Chinese culture, politics, and literature, his views carry great weight with scholars and students in these fields. Mabel Lee, has done a very good job in rendering accurately the arguments in Gao’s theoretical works. Futhermore, the organization of the essays is well thought out, elucidating a pattern to Gao’s arguments that can lead to a better understanding not only ofhis ideas, but also ofthe various positions and debates underlying the important issues and topics he addresses. The book consists of a comprehensive “Introduction” written by Lee that provides an overview of Gao’s career as a creative writer and his contributions to Chinese literature, including his significant innovations. The “Introduction” is followed by eleven chapters that contain Gao’s most important ideas of what a writer does and the issues literature addresses: (1) The Position of the Writer; (2) The Art of Fiction; (3) The Potential of Theatre; (4) The Aesthetics of the Artist; (5) Another Kind of Aesthetics; (6) Dramaturgical Method and the Neutral Actor; (7) Concerning Silhouette/Shadow; (8) Environment and Literature; (9) Ideology and Literature; (10) After the Flood; and (11) Freedom and Literature. The chapters can be divided roughly into three sections, each of which deals with a different overarching theme: (1) the role of subjectivity in artistic creation; (2) the matter of form in artistic expression; and (3) the writer as a critical thinker. These chapters come from essays or speeches that Gao has written or presented on various occasions, and they form a critical dialogue not only with other writers and critics, but also with some of the most widely-held beliefs concerning literature. They are a critical writer’s reflections on the issues that forms of art such as fiction and theatre address, as Gao contemplates: “If art is recognised as an expression of human subjectivity, then the meaning of form is only of relative significance. The human content of art primarily derives from human observation, which includes a human viewpoint and feelings. To insist that human elements be abolished from art means that art can only transform into matter” (p. 130). Gao is an experimental writer, but his experiments are not limited to exploring new techniques. Rather, they are grounded in new visions arising from the inspiration he obtains from other art forms, such as drama, painting and filmmaking. Painting, for example, may be seen by many critics as a form different from theatre or fiction. However, in Gao’s view, all artistic creation begins with visual experience that may be unconscious (p. 82). Thus he says, “Observation is not simply absorbing pictures of the objective world but is simultaneously an interaction with psychological activities, the act of choosing a view and concentrating on it—that is, focusing on the picture obtained—involves the viewers’ interests and aesthetics, and this visual image is a duplicate of the subjective experience” (p. 83). By juxtaposing literary writing with other creative arts, Gao is able to illustrate the commonalities in different art forms and demonstrate the “inner mind” (p. 83) hidden in his work. This inner vision is psychological, as well as aesthetic. Mabel Lee deserves credit for doing far more than simply translating Gao’s writing. The essays are chosen and arranged carefully so as to allow the reader to discern a pattern of dialectical relations in the way Gao Xingjian has developed his ideas. It is also through Mabel Lee’s translations that many of Gao’s critical concepts, and their deep cultural connotations, are clarified and revealed in a new light. As Gao Xingjian’s authorized translator, Mabel Lee has had the privilege to be engaged in continuous conversation with the author on many of his philosophical ideas. Hence, there is always “some insider’s insight” in Lee’s translations. The book is a timely addition to the growing critical works and translations in Gao Xingjian studies. It also announces Gao (to English language readers) as a major voice in literary aesthetics and politics, a Chinese Nobel Prize winner who remains a leading figure in creative circles and in dialogues and debates between China and the West. The English translations are easy to read and help to explain concepts of Gao’s that are not readily understood in Western languages. The work has been edited carefully and, while the language is appropriate for a critical work, technical terms have been explained and translated into common usage for lay readers. It is a beautifully produced book, with a cover that shows the writer Gao Xingjian engaged in deep introspection. 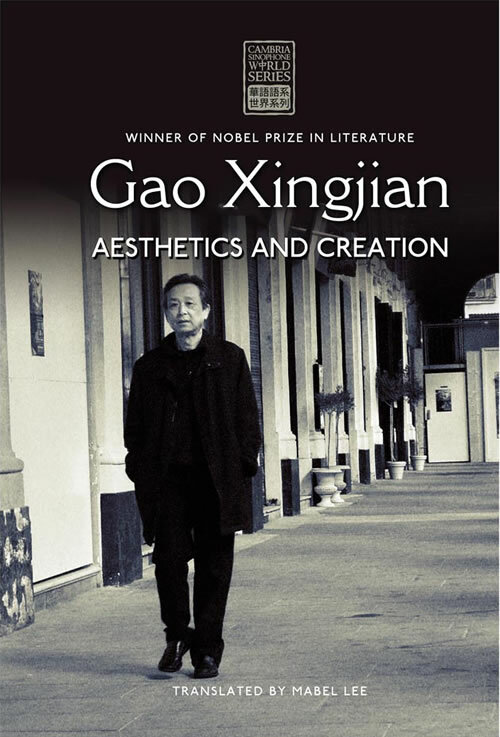 Gao Xingjian: Aesthetics and Creation is a highly readable and engaging work on the philosophy of art and creative writing, full of the insights of a seasoned practicing artist.